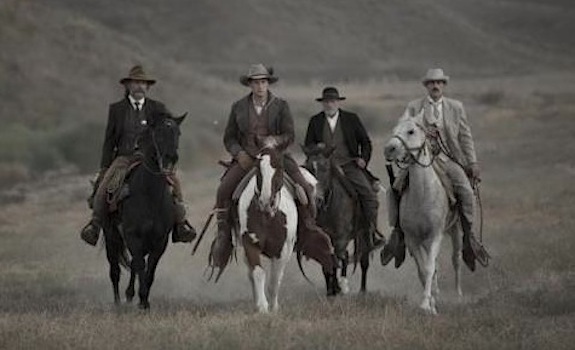 Synopsis: A sheriff (Kurt Russell), his elderly deputy (Richard Jenkins), a dandy gunslinger (Matthew Fox), and a cowboy with a broken leg (Patrick Wilson) set out to retrieve captives abducted by savage cannibals. Animal deaths: In a movie with extremely grisly scenes of carnage, a horse being shot is possibly the least gruesome death, but still potentially upsetting to horse lovers. Capsule review: At the beginning of the film: Sheriff Franklin Hunt (Kurt Russell) serves up soup to his deputy Chicory (Richard Jenkins), who is disappointed that it’s just a tasteless chowder. The scene is a perfect metaphor for the film itself: If you go in expecting a rousing action film, you’ll be just as disappointed as Chicory. There’s almost no action until the last 30 minutes of the film, and there’s very little of Russell, who’s clearly the main draw for audiences. 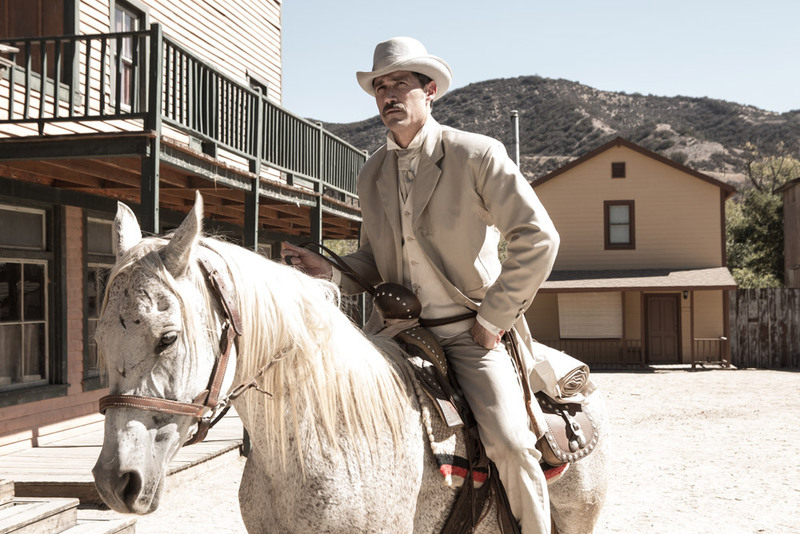 In the old West town of Bright Hope, Sheriff Franklin Hunt (Russell) is suspicious of a drifter (David Arquette) after his deputy Chicory (Jenkins) tips him off. Sure enough, the drifter is a thief and a murderer. Even worse, he’s fleeing from cannibals who’ve already killed his partner in crime, and they’ve tracked him to Bright Hope. After being shot in the leg and locked up in jail, the town’s only doctor Samantha O’Dwyer (Lil Simmons) is fetched to attend to his leg. In the middle of the night, they go missing and a four-man posse, including her husband Arthur (Patrick Wilson) and gunslinger John Brooder (Matthew Fox) set out to get them back. What follows is a long, painfully slow pursuit full of colorful observations by Chicory, the worsening of Arthur’s leg and revelations about why Brooder hates Indians so much. Continuing their rescue mission on foot, the posse does eventually find the cannibals’ lair, where — at long last if you’re in this movie for the gore — a bloody battle to the death ensues. The movie takes so long getting to its destination that audiences impatient for carnage are going to be mighty bored. Whether the final showdown is worth it — or whether you care about these characters at all — is debatable. For full spoilers regarding the human characters (most of whom meet very grisly deaths), please check out The MoviePooper. ← Happy Back to the Future Day, Einstein!